The No. 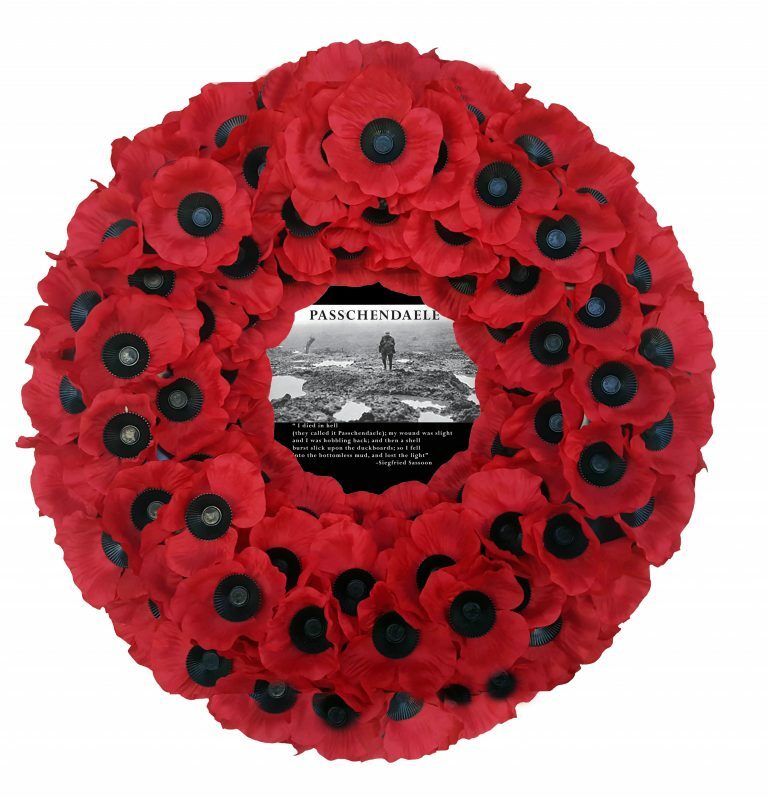 7 Passchendaele Commemorative poppy wreath is made from a plastic base and the poppy petals are made from silk which have been crimped to give it a distinctive shape. The Passchendaele Commemorative logo is also available for No. 2 and No. 8 poppy wreaths. 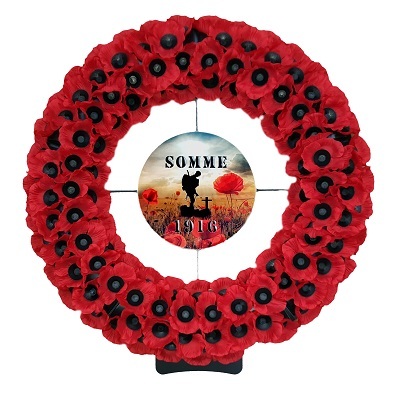 Each wreath comes with a Remembrance card attached. The Passchendaele Commemorative wreath comes with the words Passchendaele at the top with a small poem printed below with a solder crossing the muddy battle-field.